Early diagnosis is key to effectively treat prostate cancer and as a result researchers are always trying new methods to identifying prostate cancer at its earliest stages. Researchers from the University of Liverpool in collaboration with the University of West England’s (UWE) Urological Institute team at Southmead Hospital and Bristol Royal Infirmary have created a new diagnostic test for prostate cancer that could potentially eliminate the need for invasive diagnostic procedures. Researchers worked on a pilot study which included 155 men presenting to urology clinics. Of this group, 58 were diagnosed with prostate cancer, 24 with bladder cancer and 73 with haematuria or poor stream without cancer. The research team used a gas chromatography sensor system called an Odoreader that was developed by a team led by Professor Probert and Professor Norman Ratcliffe at UWE Bristol. The test involves inserting urine samples into the Odoreader that are then measured using algorithms developed by the research team at the University of Liverpool and UWE Bristol. 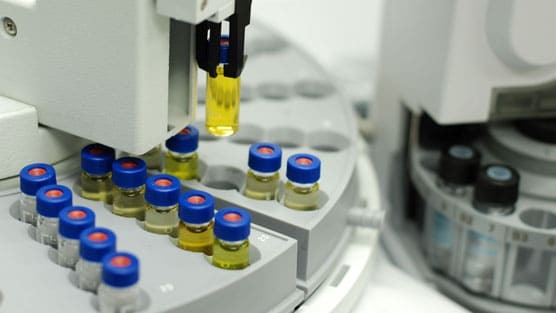 The machine analyses the odor of urine samples using a 30m column. This allows the compounds in the urine to travel through at different rates, allowing the machine to break the sample into a readable format. The machine then translates the results into an algorithm, which enabled the detection of cancer by reading the patterns presented and researchers also found that the GC sensor system had a 95 percent accuracy in identifying the different cancers. The pilot trial was funded by the Rotary Club in Bristol who held annual Run for the Future events in Bristol. Findings for the research were published in the Journal of Breath Research, which describes it as a diagnostic test using a special tool to ‘smell’ the cancer in men’s urine.